This oat cookies recipe will make 18 delicious biscuits. 1. Cream the margarine and sugar together. Gradually work in the flour. 3. Place on a greased baking sheet and flatten slightly with a fork. 4. 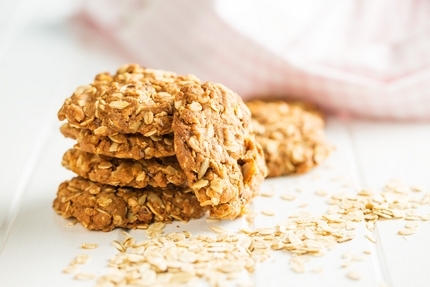 Bake these Scottish oat cookies at 180c 350f or gas mark 4 for 15 minutes. 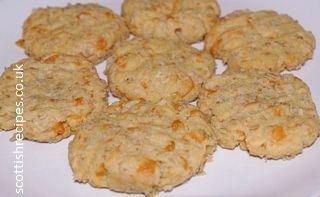 Replace sugar with 50g of grated cheese and add salt and pepper for cheese cookies. Replace 15g flour with 25g of drinking chocolate and omit the oats for chocolate cookies. Omit the oats and add 1 teaspoon of cinnamon to the flour for a delicious spicy cookie.